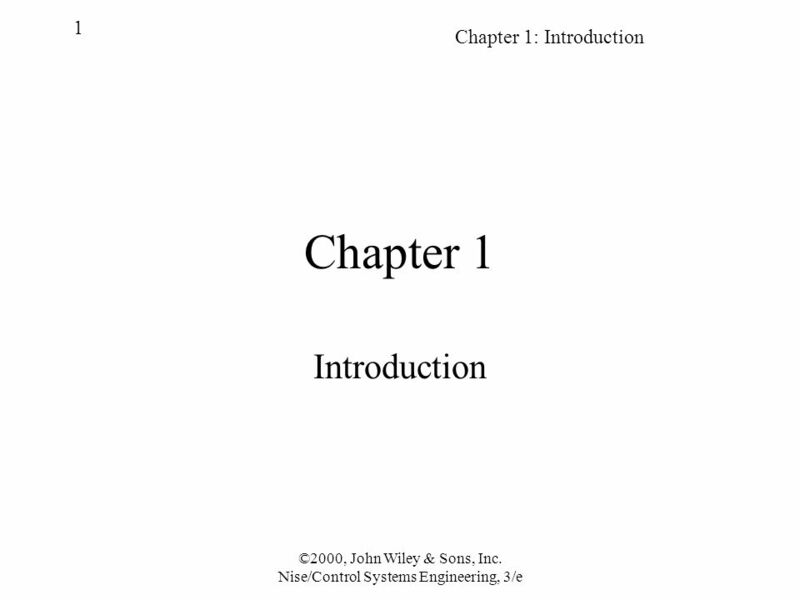 Chapter 1: Introduction 1 ©2000, John Wiley & Sons, Inc. Nise/Control Systems Engineering, 3/e Chapter 1 Introduction. 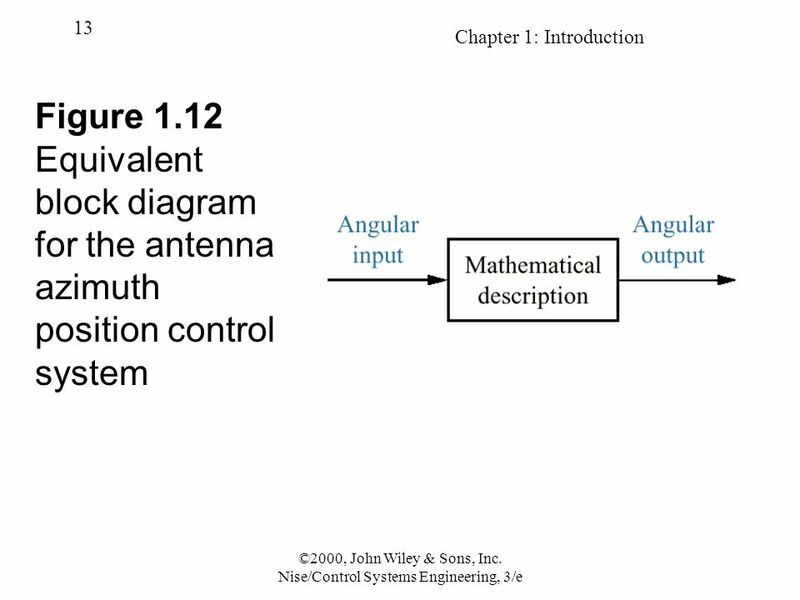 3 Chapter 1: Introduction 3 ©2000, John Wiley & Sons, Inc. Nise/Control Systems Engineering, 3/e a. 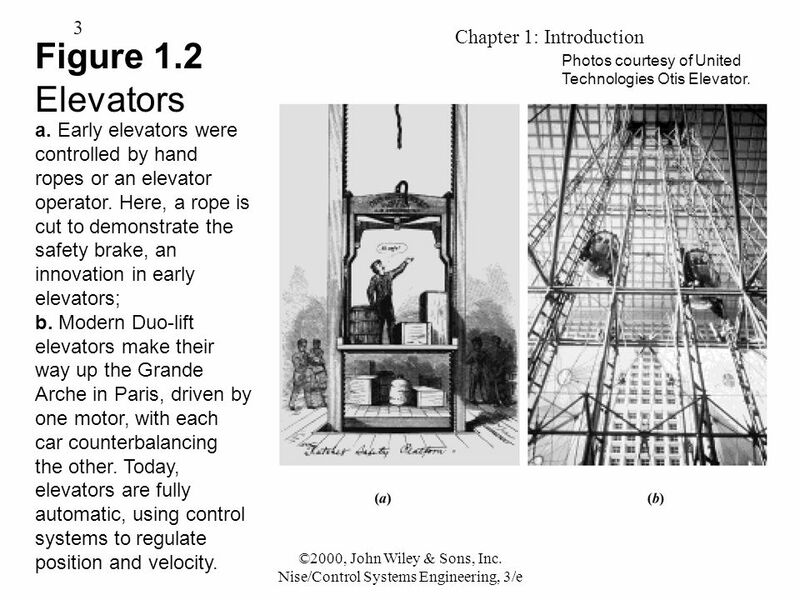 Early elevators were controlled by hand ropes or an elevator operator. Here, a rope is cut to demonstrate the safety brake, an innovation in early elevators; b. Modern Duo-lift elevators make their way up the Grande Arche in Paris, driven by one motor, with each car counterbalancing the other. Today, elevators are fully automatic, using control systems to regulate position and velocity. Figure 1.2 Elevators Photos courtesy of United Technologies Otis Elevator. 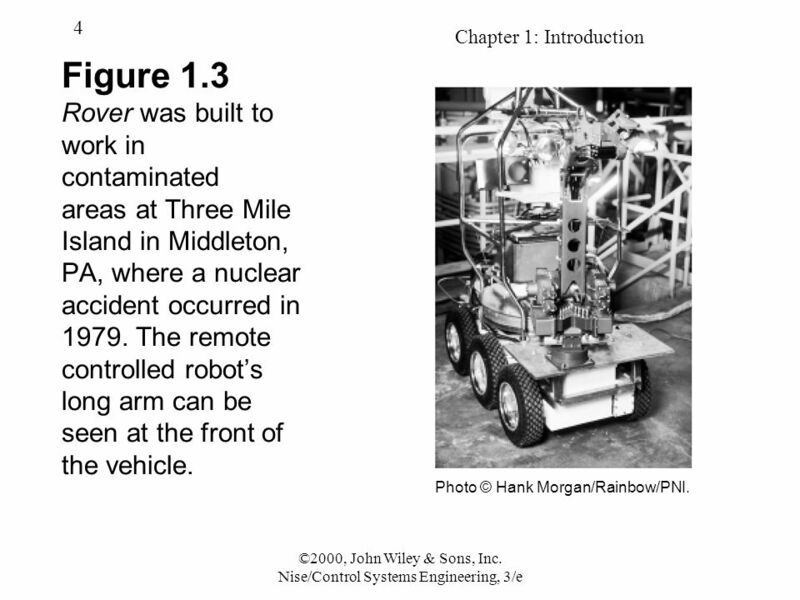 4 Chapter 1: Introduction 4 ©2000, John Wiley & Sons, Inc. Nise/Control Systems Engineering, 3/e Figure 1.3 Rover was built to work in contaminated areas at Three Mile Island in Middleton, PA, where a nuclear accident occurred in 1979. The remote controlled robot’s long arm can be seen at the front of the vehicle. Photo © Hank Morgan/Rainbow/PNI. 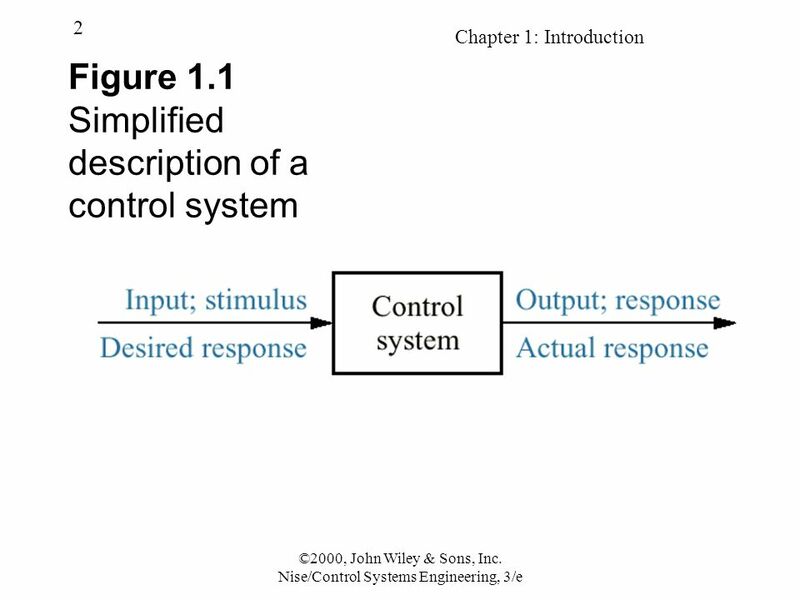 5 Chapter 1: Introduction 5 ©2000, John Wiley & Sons, Inc. Nise/Control Systems Engineering, 3/e (a) (b) (c) Figure 1.4 a. 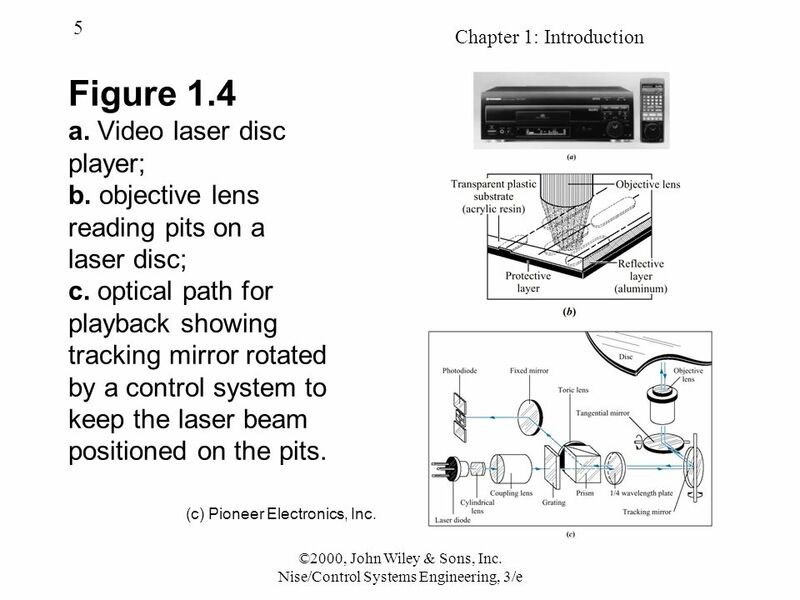 Video laser disc player; b. objective lens reading pits on a laser disc; c. optical path for playback showing tracking mirror rotated by a control system to keep the laser beam positioned on the pits. 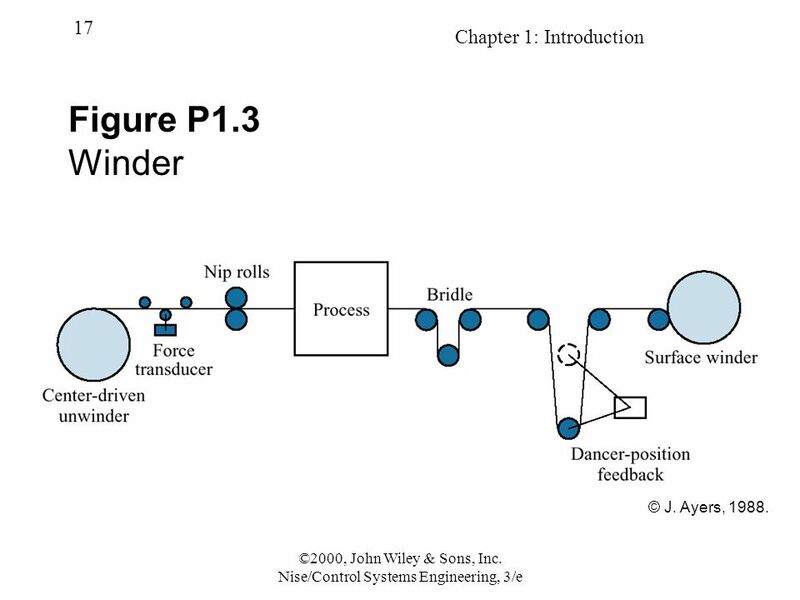 (c) Pioneer Electronics, Inc.
8 Chapter 1: Introduction 8 ©2000, John Wiley & Sons, Inc. Nise/Control Systems Engineering, 3/e Figure 1.7 Computer hard disk drive, showing disks and read/write head Courtesy of Quantum Corp.
9 Chapter 1: Introduction 9 ©2000, John Wiley & Sons, Inc. Nise/Control Systems Engineering, 3/e Figure 1.8 The search for extraterrestrial life is being carried out with radio antennas like the one pictured here. 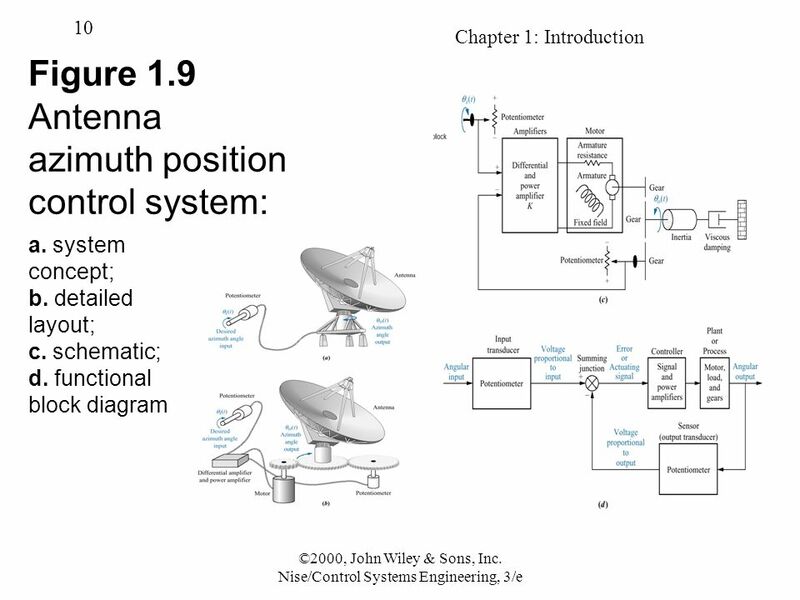 A radio antenna is an example of a system with position controls. © Peter Menzel. 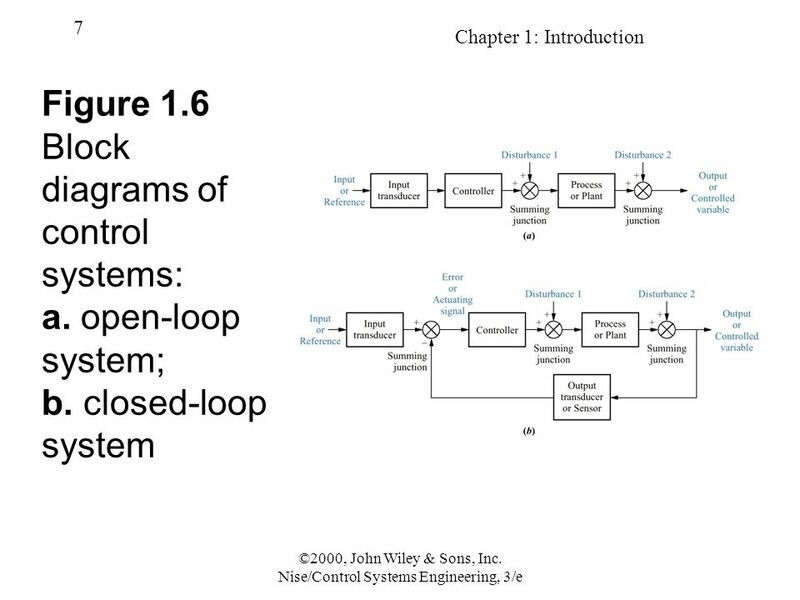 17 Chapter 1: Introduction 17 ©2000, John Wiley & Sons, Inc. Nise/Control Systems Engineering, 3/e Figure P1.3 Winder © J. Ayers, 1988. 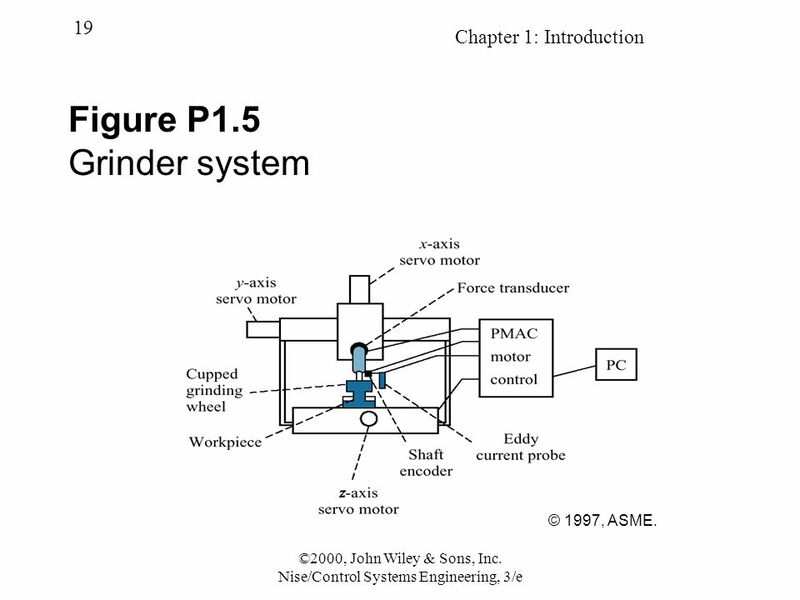 19 Chapter 1: Introduction 19 ©2000, John Wiley & Sons, Inc. Nise/Control Systems Engineering, 3/e Figure P1.5 Grinder system © 1997, ASME. 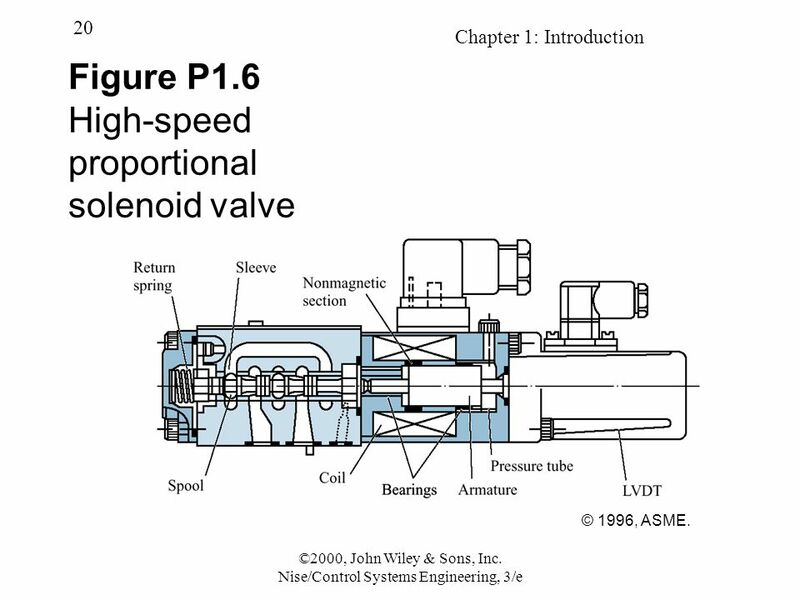 20 Chapter 1: Introduction 20 ©2000, John Wiley & Sons, Inc. Nise/Control Systems Engineering, 3/e Figure P1.6 High-speed proportional solenoid valve © 1996, ASME. 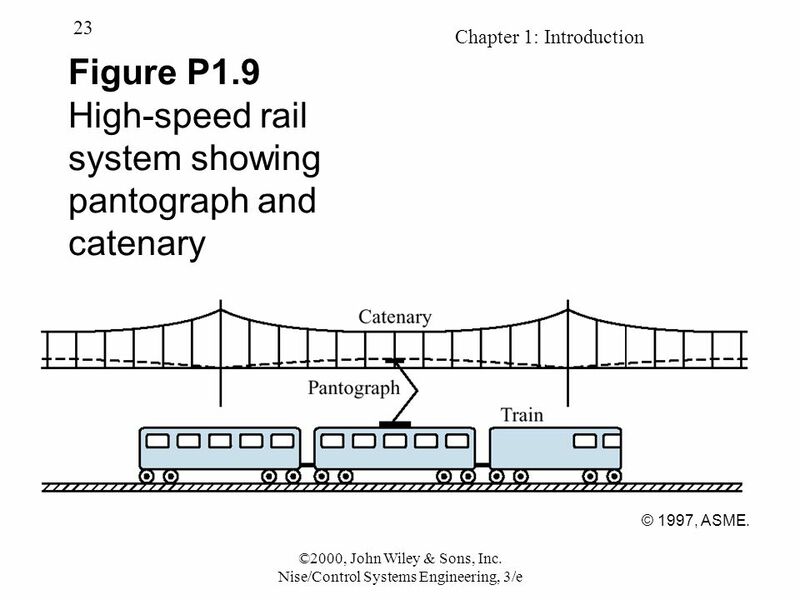 23 Chapter 1: Introduction 23 ©2000, John Wiley & Sons, Inc. Nise/Control Systems Engineering, 3/e Figure P1.9 High-speed rail system showing pantograph and catenary © 1997, ASME. 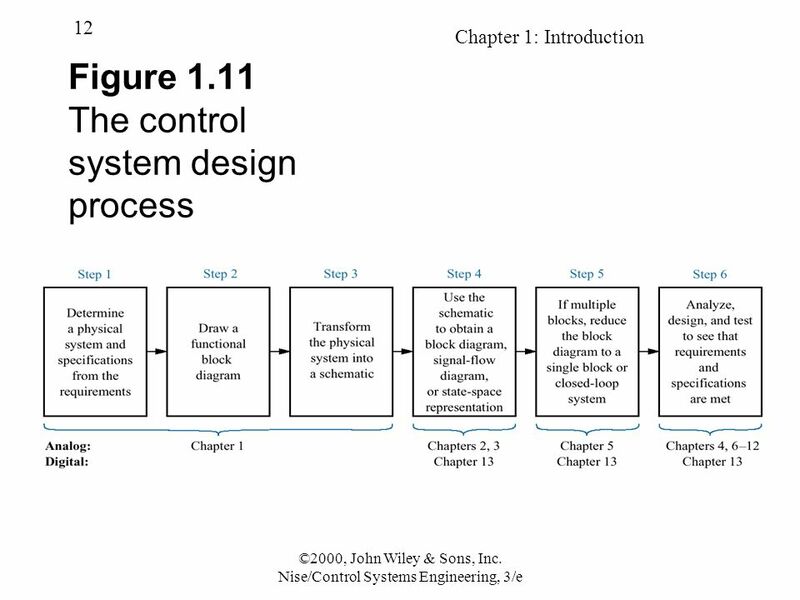 Download ppt "Chapter 1: Introduction 1 ©2000, John Wiley & Sons, Inc. Nise/Control Systems Engineering, 3/e Chapter 1 Introduction." 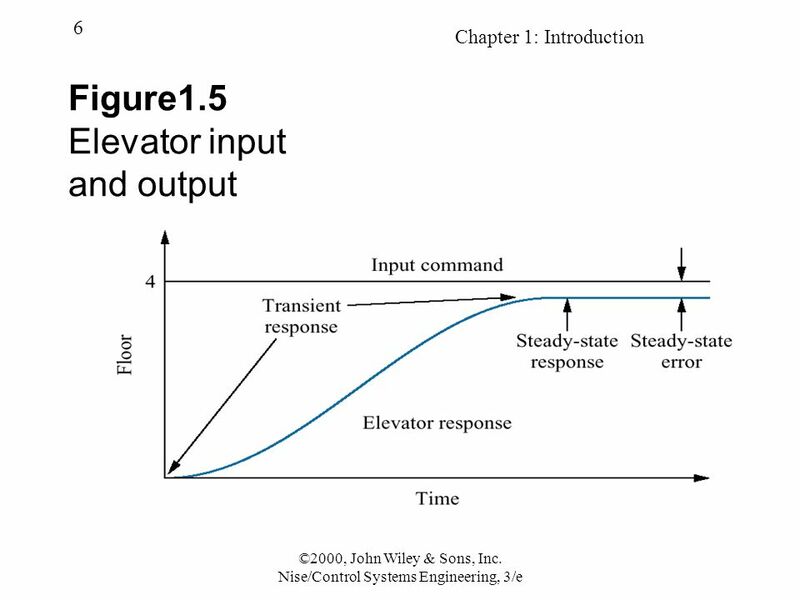 Chapter 7: Steady-State Errors 1 ©2000, John Wiley & Sons, Inc. Nise/Control Systems Engineering, 3/e Chapter 7 Steady-State Errors. 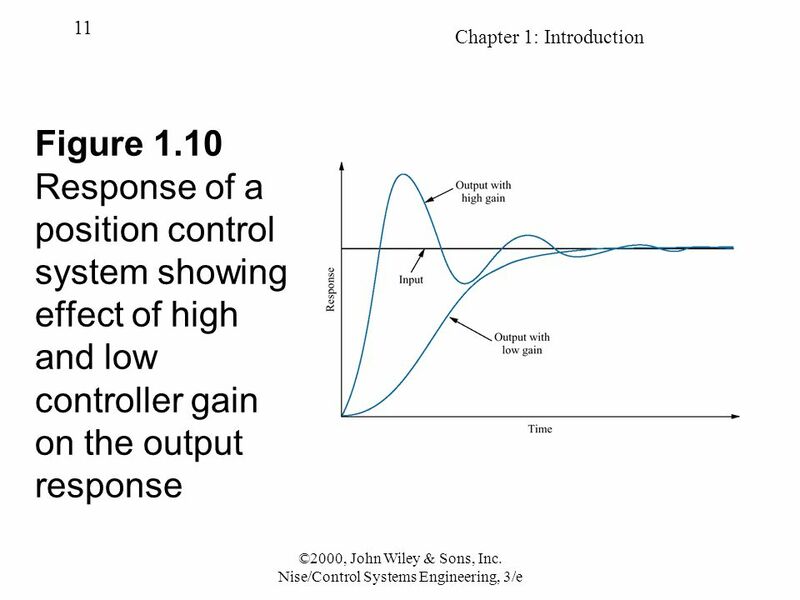 Chapter 13: Digital Control Systems 1 ©2000, John Wiley & Sons, Inc. Nise/Control Systems Engineering, 3/e Chapter 13 Digital Control Systems. 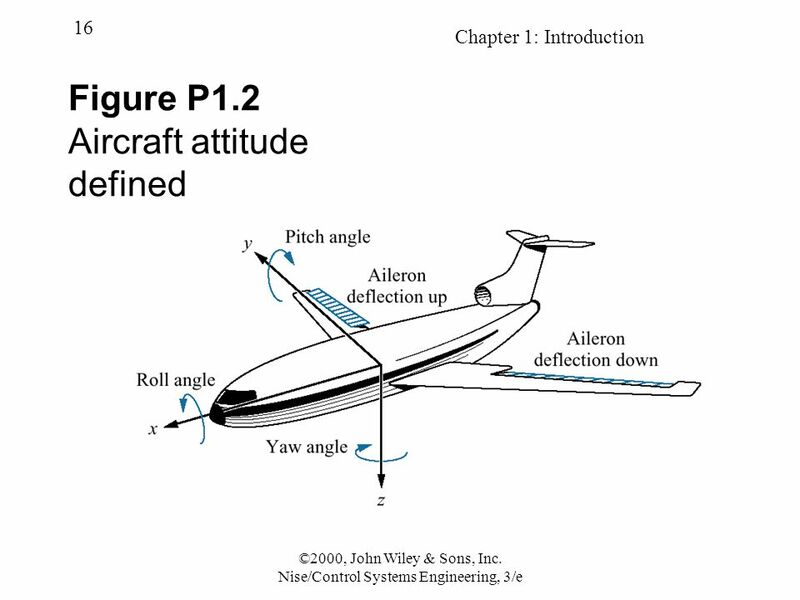 Chapter 3: Modeling in the Time Domain 1 ©2000, John Wiley & Sons, Inc. Nise/Control Systems Engineering, 3/e Chapter 3 Modeling in the Time Domain. In The Name of Allah The Most Beneficent The Most Merciful 1. Figure 3.1 Parts of a microprocessor Figure 3.2 How the CPU works. 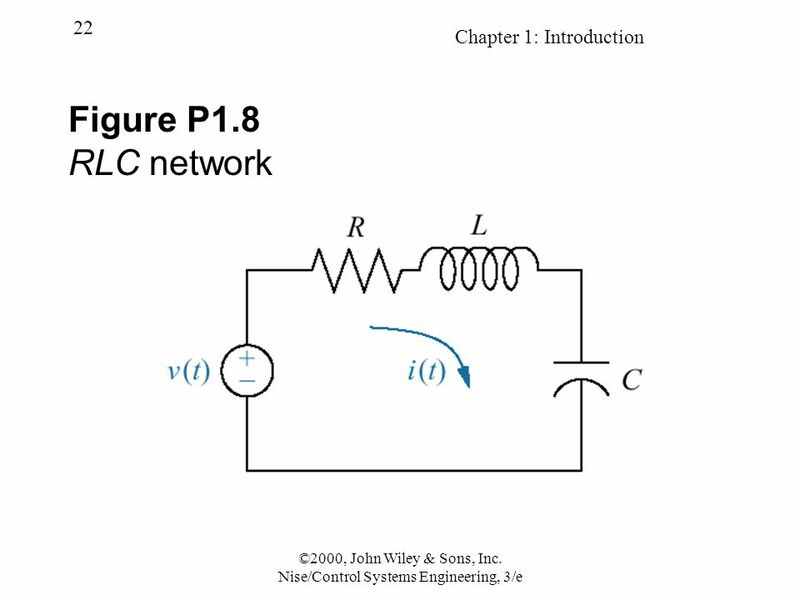 Figure 4-1 (p. 78) (a) RLC network. (b) State diagram. 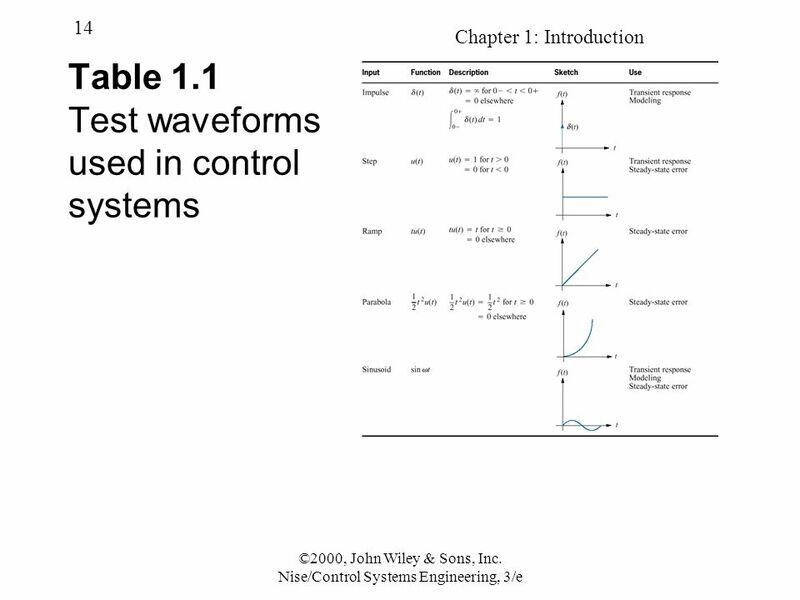 Chapter 10: Frequency Response Techniques 1 ©2000, John Wiley & Sons, Inc. Nise/Control Systems Engineering, 3/e Chapter 10 Frequency Response Techniques. 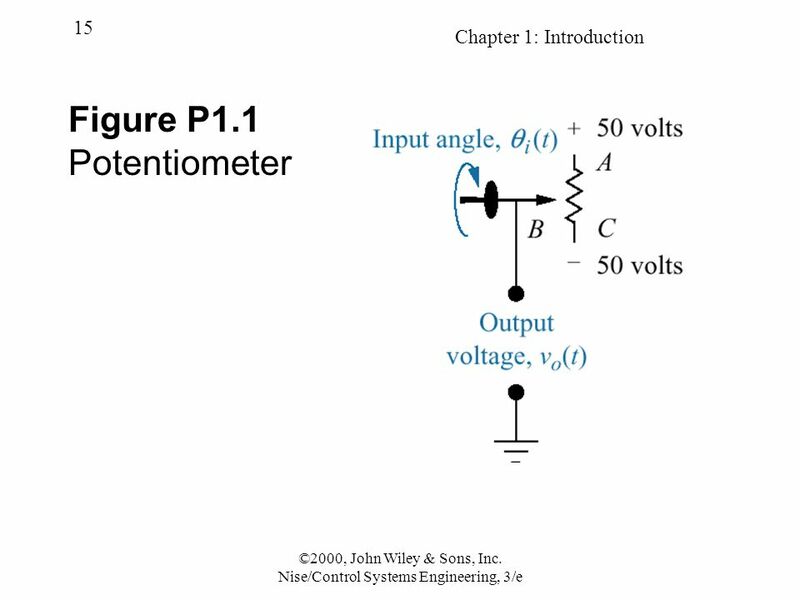 Induced Voltages And Inductance Chapter 20 Hans Christian Oersted. 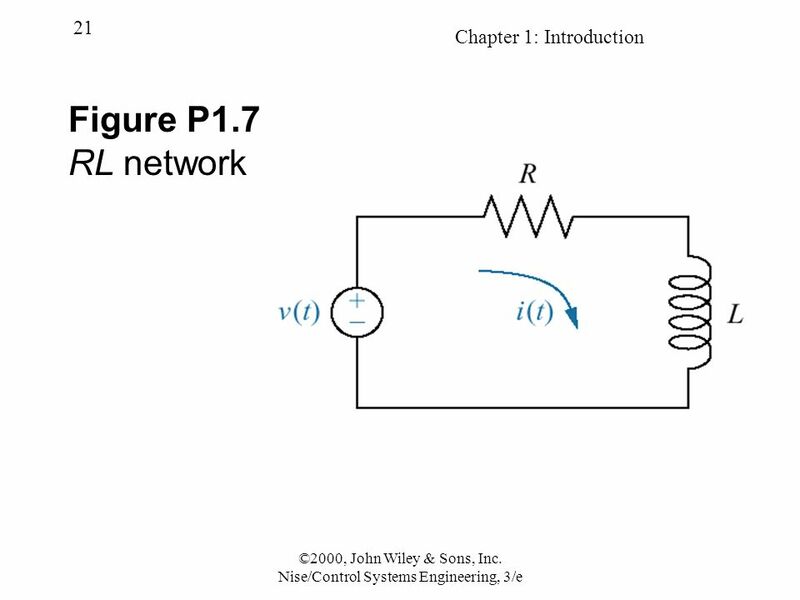 1 “Introduction to Modern Power Electronics”, 2 nd Ed., John Wiley 2010 by Andrzej M. Trzynadlowski. System for Engine Location Of a Web Train Paul Wimmer and Adam Weintrop Dr. Irwin and Dr. Schertz 12/5/05 Project Proposal -CTCDS. 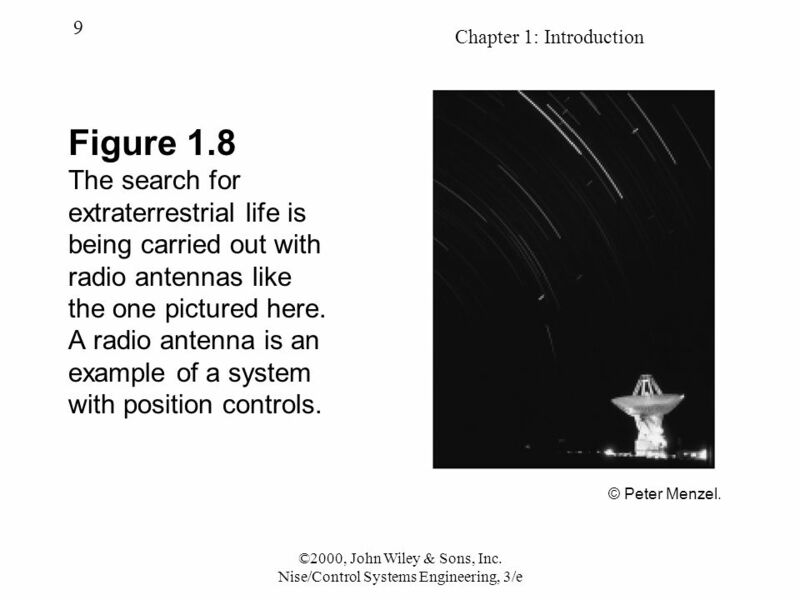 Chapter 1 Introduction To Information Systems Copyright © 2014 John Wiley & Sons, Inc. All rights reserved. 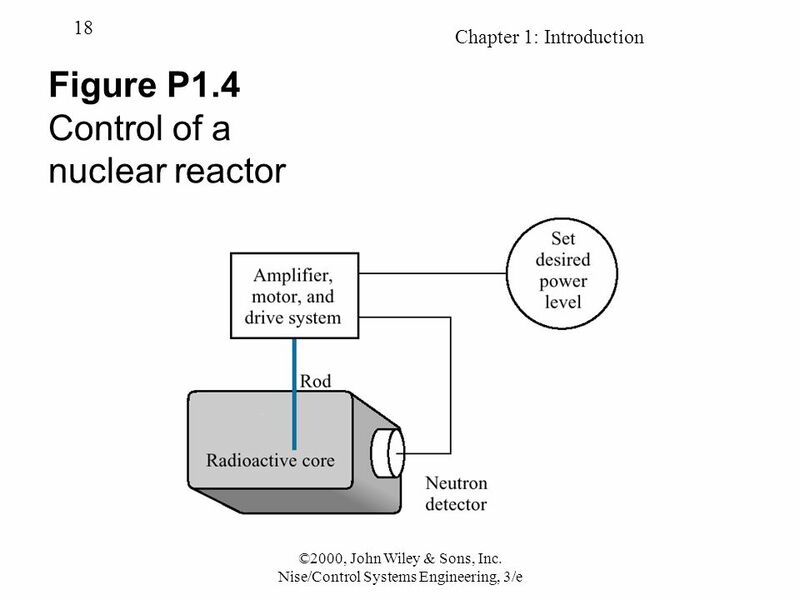 Introduction to Information Systems Fifth Edition. Sophomore Design A Proposed Project Format R. E. Haskell 4/26/2003. Robotic Arm and Dexterous Hand Preliminary Design Review November 12, 2004.